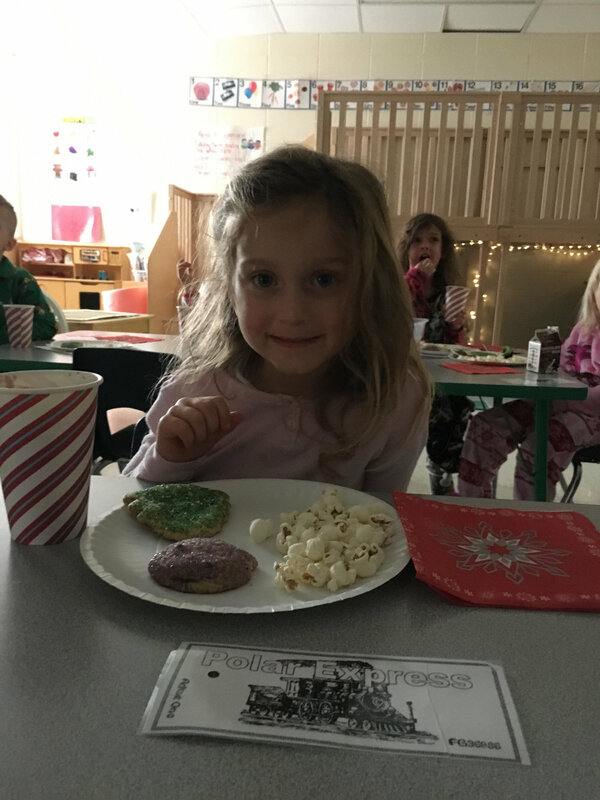 We had a great last week before Christmas break. 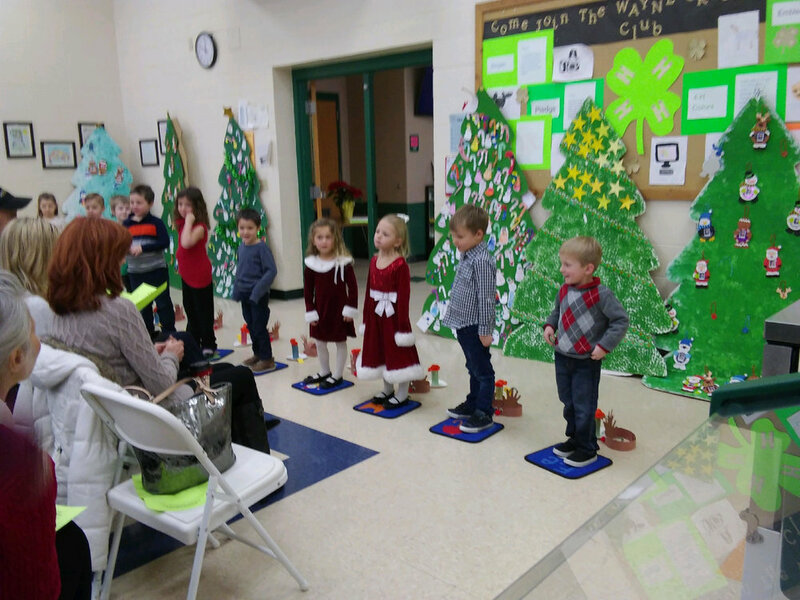 The students all did so well at the concert! Thank you to everyone who came. It was great seeing all of the families at the gingerbread house decorating also! Yesterday was another fun day. 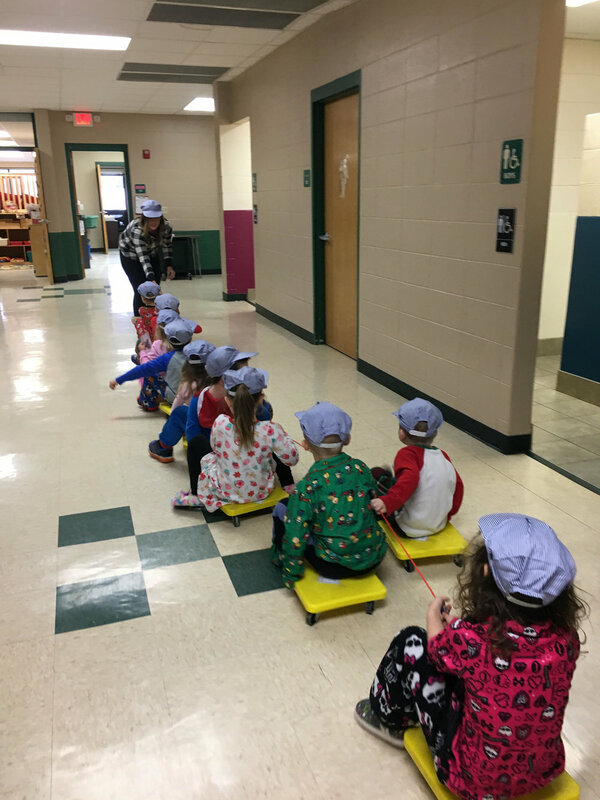 We wore conductor hats and took a "train" to the classroom. 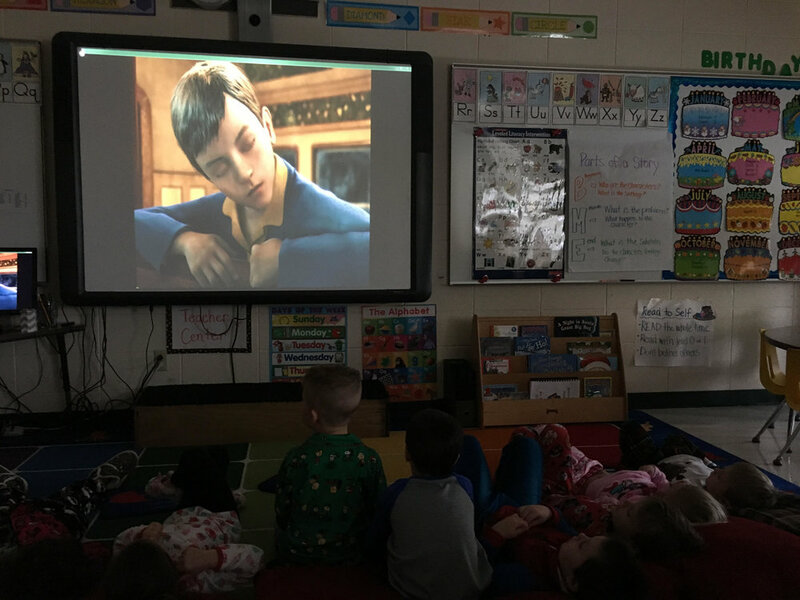 As the students entered the classroom, they had their ticket punched before watching the movie. We ate cookies and drank hot chocolate during the movie. After break, we will be reviewing the letters we've learned so far. We will be doing snowman activities.